It’s the end of an era. Today is one of those days when a mythical product in the tech world moves to a “farm upstate”. 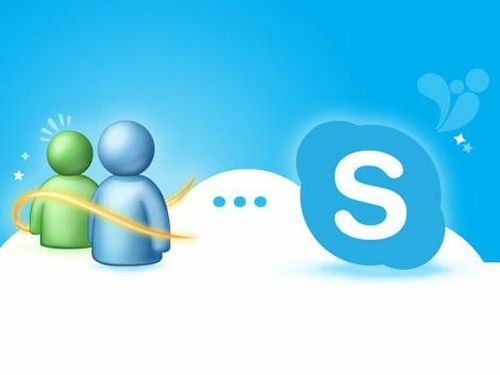 MSN Messenger, launched in July 1999, closed its doors on Monday, April 8, 2013, the communication service Skype acquired by Microsoft almost two years ago, takes over. MSN Messenger is a product of another era of the internet. It was tremendously popular in the late 90s and early 2000s, when desktop computers were the most used devices to communicate online and not smartphones, tablets or notebooks. The MSN Messenger was a product designed primarily for written conversations, Microsoft later incorporated other options, but sadly it did not survive users migrating to smartphones and social networks. Microsoft added Facebook contact integration in their service and also launched mobile applications, but the messenger lost the popularity contest. Other services were gaining ground in the technology world, services like WhatsApp or Line are now the kings of the mobile messaging world, and Skype became the top choice for videoconferencing. Instant messaging systems like Skype gained popularity especially for long distance conversations because of their low price and ease of use. Gradually, Skype added more options and platforms, and its user base increase drastically. With this shift in the use of communication systems based on the internet, Microsoft acquired Skype in May 2011 for 8.5 Billion dollars, including about 7 million dollar debt Skype had. Skype currently has about 280 million active users and we expect the number to grow with users migrating from MSN Messenger. According to ComScore, MSN Messenger has around 19 million active users. Anyone without Skype account can use a Microsoft ID and import their contacts, but after today they will no longer be able to use the legendary messenger. What do you think about Skype taking over MSN Messenger? Leave your opinion in the comments.